It took him 23 episodes, spread out over two years and three seasons, but Ben McKenzie's character on Southland finally completed his probationary training period. He had every right to be thrilled with himself, especially considering that, when it looked as if the show would end with its cancellation by NBC, the poor guy might have been trapped in a permanent state of limbo, frozen in amber with Michael Cudlitz's John Cooper staring at him with an expression of contemptuous dismay that was just slightly different than all the previous expressions of contemptuous dismay he'd already directed his way. Cudlitz is nothing if not a trouper, and the slow burn he's maintained these past two years as he's monitored his rookie victim's one-step-forward, two-steps-back rate of progress ought to merit some kind of Edgar Kennedy Memorial Trophy. In the last couple of episodes, Cooper spent much of his work day lurking menacingly behind a pair of sunglasses, and while the idea seemed to be that this had something to do with the addiction to painkillers that was powering his downward spiral, it seemed plausible that he was wearing them so that his latest upgrade on his angry look wouldn't part his sidekick's hair and leave him with a Harry Potter scar to remember him by. There were moments this past season, such as when Ben insisted on accompanying John on an all-night marching tour of an area where a child predator might be lurking, when it looked as if the two of them might be about to develop a working rapport, some mutual respect that got past the grudging stage, even a trace of affection. If it was necessary for the older officer to get and stay blitzed out of his skull for the last couple of episodes to prevent that from happening, Cooper was up to the task. For most of the past season, Cudlitz has dominated his corner of Southland's storylines with the sureness of a terrific actor working with actor-proof material, so it was a nice graduation present to have him sidelined enough to let his younger partner feel his oats a little. First, he got to tangle with a suspect in an extended chase and fight on a rooftop that ended with the bad guy pulling a Dar Robinson, and then he got to bawl out his training officer before delivering the humbled old pillhead to rehab. 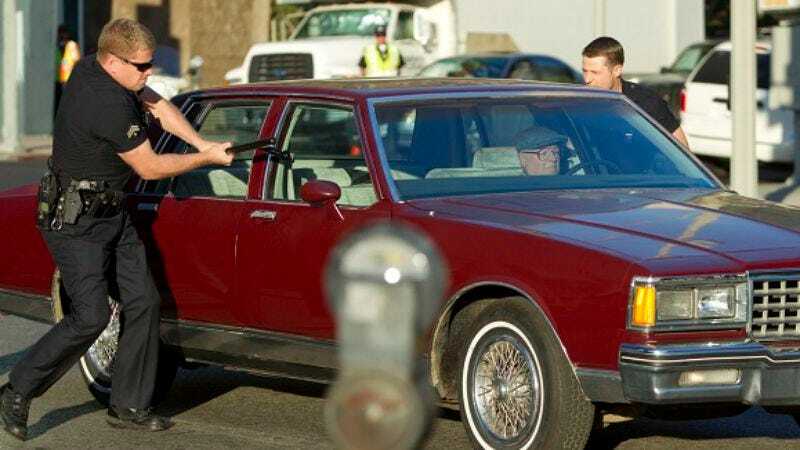 I have no idea what's waiting for Cudlitz's character when the show returns, but with any luck, the last sight of him checking into the hospital is a set-up for something other than another tour of the streets with a new virgin cop to break in. If it does come back, it would helpful if the writers could buckle down on the plotting and maybe plant the characters in an ongoing case that can stretch across part of the season and build up some tension. Southland has distinguished itself with its handling of the details and personal crises of cops' lives, and Ben's blowing up at his disintegrating tutor gives "Graduation Day" a charge that makes it one of the best episodes of the season. At its best, Southland is the kind of show that critics like to praise for being "more than a cop show," but the best way that it could provide that kind of buzz from week to week might be for it to show that, in addition to being a quality character drama, it can also provide the pleasures of a good cop show. It's nice that Lydia got laid; now that she's had her taste of Mister Right, she deserves to have her own Luther Mahoney.